If you love the look of fancy chalkboard art, but aren't a huge fan of chalk dust, these Christmas chalkboard printables are the perfect solution for you. Kellie created five beautiful designs. You will have a hard time choosing just one. 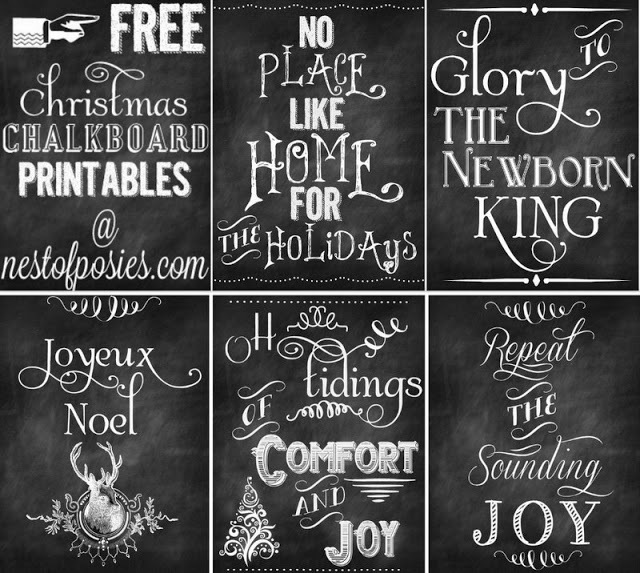 You can download all five free Christmas chalkboard printables over at Nest of Posies. thanks, sugar for the shout out! how's the new bundle of joy big as texas?? ?